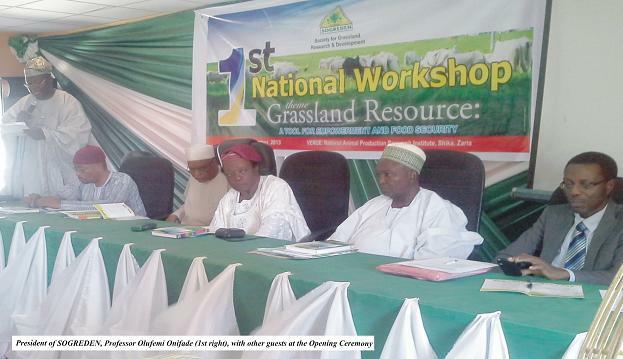 The first national workshop, organized by the Society for Grassland Research and Development in Nigeria (SOGREDEN), was held recently at the National Animal Production Research Institute, Ahmadu Bello University, Zaria. The workshop, which was attended by Pasture scientists from the country had as its theme: Grassland Resources: Tool for Empowerment and Food Security. The President of SOGREDEN, Professor Olufemi Onifade, of FUNAAB’s Department of Pasture and Range Management and Director, Centre of Entrepreneurial Studies, noted that the workshop was the first of its kind to be organized by the Society, as he expressed the optimism that landmark achievements would be recorded in the area of grassland research and the elimination of perennial communal clashes between crop farmers and pastoralists in Nigeria. “There had been attempts in the past to establish the Society, but such attempts did not achieve much success for one reason or the other until colleagues at Federal University of Agriculture, Abeokuta organised the Stakeholders’ Meeting”, he added. 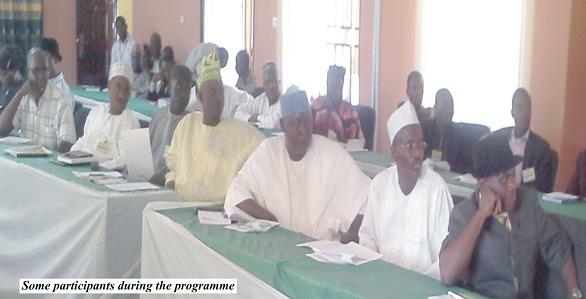 At the end of the national workshop, a 6-point communiqué was issued, which emphasized the need for the restoration of diploma courses in Range and Pasture Science in the Colleges of Agriculture and the introduction of Pasture and Range Management training at degree level in the Universities; the need for updating of the livestock populations in Nigeria through an accurate census of all relevant livestock species for effective planning and development. 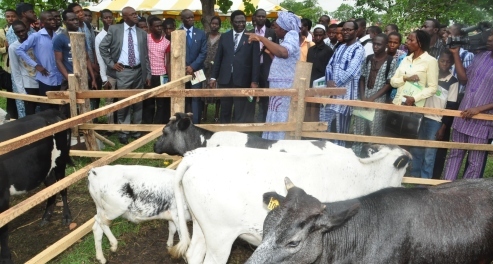 SOGREDEN also called for the establishment of Grazing Reserve and Stock Route Commission, to sensitize stakeholders, in order to facilitate the appointment of relevant professionals to the Commission; the need for the nation’s agricultural transformation agenda to cover pasture production and management and the imperative for an aggressive programme of producing suitable pasture grass and legume seeds, to cover all the ecological zones of the country. The Society also ratified the elections of its National Executive Council, made up members of staff of FUNAAB, namely: Professor Olufemi Onifade, President; Dr Jimoh Olanite, National Secretary and Professor Alaba Jolaosho, National Treasurer, whose two-year tenure was with effect last month.